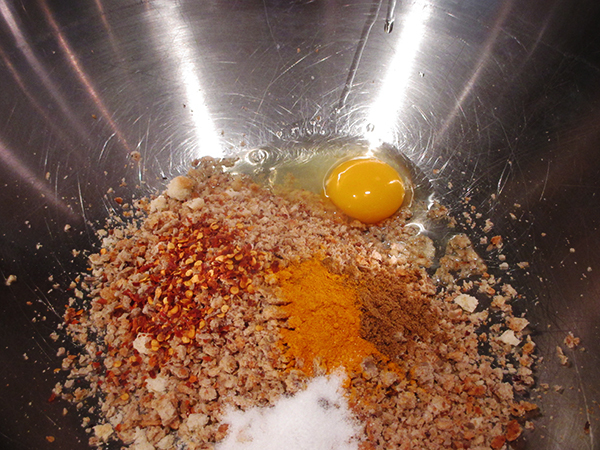 In a large bowl, add the breadcrumbs, eggs, ground cumin, red pepper flakes and ground turmeric. 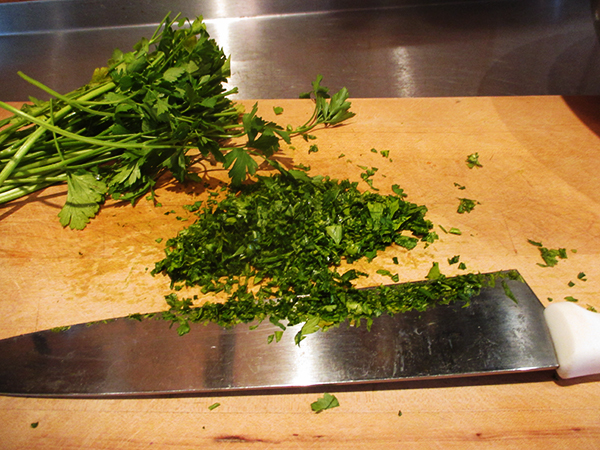 Finely chop the fresh parsley and garlic cloves. 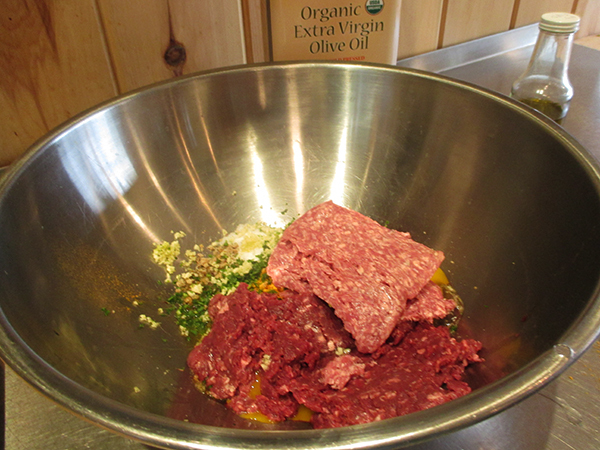 Add the chopped fresh parsley, garlic, sea salt and olive oil to the bowl. Mix well. 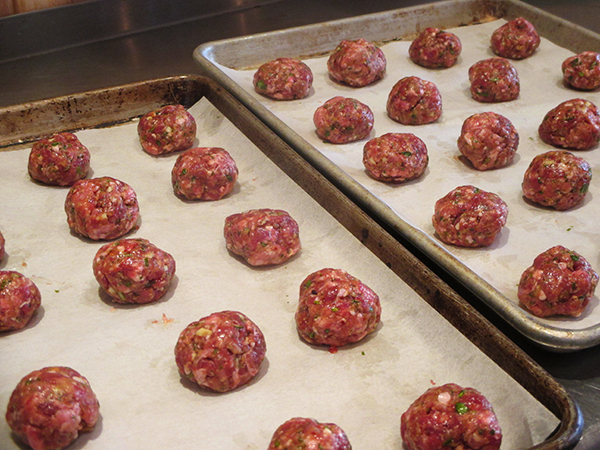 Add the ground lamb and venison to the bowl. Mix well so that all ingredients are well incorporated. Scoop the mixture out onto a sheet pan lined with parchment paper, 20 scoops per pan. Gently roll into balls. They should be about the size of golf balls, about 1-½ inches in diameter. Bake until the internal temperature reaches 145 degrees, about 10 – 15 minutes. 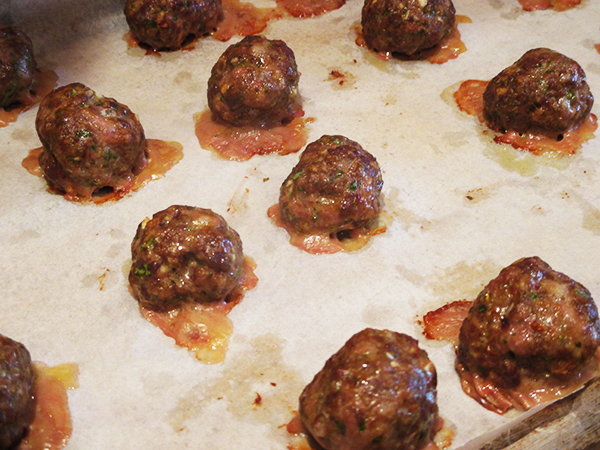 Makes 40 meatballs. A serving size is 5 meatballs. 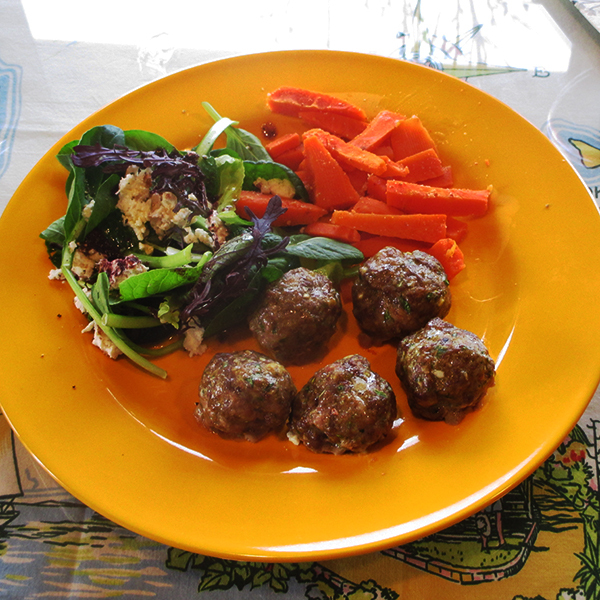 Nutritional analysis per meatball: 89 calories, 5 grams protein, 2 grams carbohydrates, 7 grams fat, 135 mg. sodium, less than 1 gram fiber.